February 28, 2018 marks an astonishing 35 years since U2’s War first appeared on the scene. It was the band’s third album but the first to be considered a “hit” in terms of chart success, ascending to the #1 position in the UK (knocking Michael Jackson’s Thriller off the throne) and earning a respectable #12 on the US charts. Several songs, including “Sunday Bloody Sunday,” “New Year’s Day,” and “40,” remain critical and fan favorites and are considered classics to this day. To help celebrate its 35th birthday, we’re traveling back to 1983 for this special 5 Albums installment that looks at War‘s key contributors and collaborators and explores some of the other projects they were involved in at the time. The distinctive tones of Steve Wickham’s electric violin grace two tracks on War: “Drowning Man” and, most notably, “Sunday Bloody Sunday.” Young Steve was still living at home in Dublin in 1982 when he recognized The Edge at a bus stop. He introduced himself and asked if U2 needed a violin player on their next album. He gave Edge his phone number and received a call from him the following week… and the rest is history! Wickham also joined U2 on stage for a few dates during the Pre-War and War tours in late 1982 and 1983, performing not only during “Sunday Bloody Sunday” but also, at times, during “Tomorrow,” “Into the Heart,” and “The Electric Co.” Shortly after recording with U2 for War, Wickham became a founding member of In Tua Nua, the first band to release a single through U2’s Mother Records label in 1984. 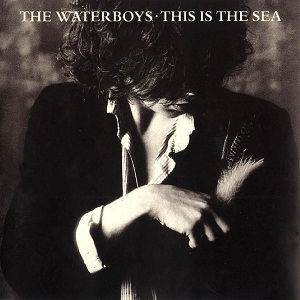 The following year, Wickham played violin on the track “The Pan Within” on the Waterboys’ third album This is the Sea. He became a permanent member of The Waterboys soon after, contributing extensively to 1988’s Fisherman’s Blues, and is largely credited with influencing the band’s Celtic and folk sound. In addition to violin, he also sings and plays several other instruments including concertina, saxophone, guitar, and piano. Wickham has appeared on a number of other studio and live recordings for The Waterboys, and has also collaborated with Sinead O’Connor, R.E.M., Bob Dylan, Maria McKee, and many other artists. Steve has also released two solo albums, Beekeeper and Geronimo. 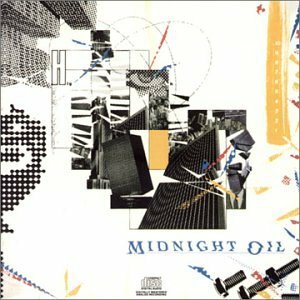 There have been many comparisons made between U2 and Australian rockers Midnight Oil over the years. Both bands have strong themes of social consciousness, infused with Christian imagery, running through their music. And for both bands, 1983 was a breakthrough year. Just as U2 enjoyed its first UK #1 album with War, Midnight Oil saw 10,9,8,7,6,5,4,3,2,1 (actually released in November of 82) peak at #3 on the Australian charts—and then remain on those charts for an astonishing 171 weeks! Beyond the stylistic and thematic similarities between War and 10-1, both albums share a common denominator in French DJ/producer Francois Kervorkian, who helped both U2 and Midnight Oil bridge the gap between alternative rock and the emerging dance club culture of the 80s. Although Kervorkian did not work directly on either War or 10-1, in both cases his services were enlisted to create dance remixes of singles from those albums. In the case of War, of course, the singles in question were “New Year’s Day” and “Two Hearts Beat As One,” both of which got a “USA Remix” by Kervorkian as well as an additional “Long Mix” for “Two Hearts.” For Midnight Oil, Kervorkian remixed 10-1‘s second single “Power and the Passion” for the US market. 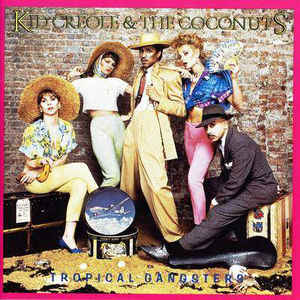 This 12-inch remix, sometimes labeled the “Special Version” or simply “Remix,” was initially included only on the US 12-inch release, while the 12-inch single in other countries contained the album version. Later, though, Kervorkian’s remix would appear on a wide range of other Midnight Oil vinyl and CD releases worldwide. Kervorkian also created a dub version of “Power and the Passion” called “Glitch Baby Glitch.” Both bands would work with Kervorkian again in 1985. U2 enlisted him to remix “Wire” (the “Celtic Dub Mix” and “12-inch Vocal Mix,” although the latter didn’t see release until the 2009 reissue of The Unforgettable Fire), while Midnight Oil actually gave him a rare turn in the producer’s chair for their EP Species Deceases. While Steve Lillywhite is widely considered War‘s sole producer, that is not entirely accurate. 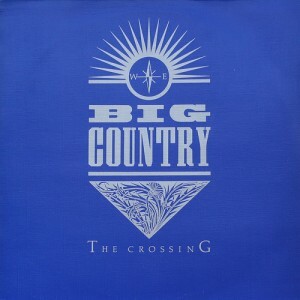 “The Refugee,” the opening track on Side 2 of the original vinyl, was produced by Irish musician and composer Bill Whelan. With a history in the Irish music industry stretching back to the early 1970s, Whelan had written, produced, recorded, or performed with a number of artists including Planxty, Stacc, Teddie Palmer, and Richard Harris (and he would later go on to work with Van Morrison, Kate Bush, The Corrs, and others). 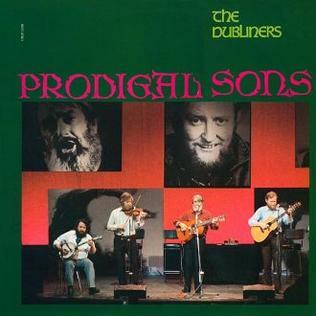 The same year he produced “The Refugee,” Whelan also produced and played keyboards on the album Prodigal Sons, by Irish traditional group The Dubliners. That album included traditional songs and instrumentation as well as original compositions by the band. (Years later, U2 would collaborate with a number of other Irish artists on the charity single “The Ballad of Ronnie Drew,” written in tribute to The Dubliners’ lead singer.) 1983 was a busy year for Whelan, as he also produced the debut (and only) album by Irish synth-pop duo Minor Detail, recorded at Windmill Lane with names that would later appear in U2 liner notes, including Paul Barrett and Kevin Killen. Also in 83, Whelan joined U2 manager Paul McGuinness to form McGuinness Whelan Music Publishing, a successful music publishing company that is still in operation today. Whelan is best known, of course, as the composer of the song “Riverdance” in 1994, which would in turn spawn a full touring Irish dance show (also written and composed by Whelan) and an accompanying soundtrack album. What are your favorite musical moments from War? And for that matter, what are your favorite albums from 1983? Some other significant releases that year included R.E.M.‘s Murmur, Metallica’s Kill ‘em All, Def Leppard’s Pyromania, New Order’s Power, Corruption, & Lies, The Police’s swan song Synchronicity, Tears for Fears’ The Hurting, Talking Heads’ Speaking in Tongues, OMD’s Dazzle Ships, Bob Marley and The Wailers’ Confrontation, Madonna’s Madonna, Yes’s 90125, Depeche Mode’s Construction Time Again, The Cure’s Japanese Whispers, and, on November 21, U2’s own Under a Blood Red Sky.